With the Carolinas facing record high rainfall and flooding, Fannie Mae warns that there is plenty of risk of fraud as people may take advantage of the chaos. In the aftermath of the storm, the Financial Crimes Enforcement Network (FinCEN), a unit of the U.S. Treasury department released an advisory about possible increases in fraud in impacted areas. 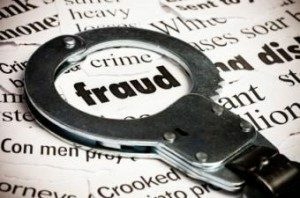 FinCEN specifically noted three specific types of Fraud: Benefits Fraud, Charities Fraud, and Cyber-Related Fraud, while Fannie Mae notes that homeowners may be impacted by Loan Modification Fraud and Repair Fraud. “While many individuals respond to natural disasters with kindness and generosity – opening their hearts and their wallets to those in need, providing aid and assistance when it is needed most – some unscrupulous individuals will take advantage of the situation to line their own pockets through fraud,” said Jennifer Horne, President for Anti-Fraud and Anti-Money Laundering at Fannie Mae. Loan Modification Fraud is when fraudsters seek out mortgage borrowers in disaster areas and promise a loan modification or forbearance for a fee, then take the fee and disappear. Another fraud type Fannie Mae identified is Repair Fraud, when fraudsters promise to make repairs to damaged homes. Fraudsters target storm-affected areas where contractors are in short supply due to extensive damage. Like Loan Modification Fraud, the fraudster collects the fees for repairs then disappears. FinCEN notes the dangers of other types of fraud including Benefits Fraud, which means when individuals apply for benefits they are not entitled for. Another type of fraud identified with disasters is charities fraud, or fraudulent contribution solicitations. The last fraud type FinCEN identified is Cyber-Related Fraud, when criminals take advantage of public interest during natural disasters in order to conduct financial fraud and disseminate malware, similar to charities fraud. Fannie Mae notes that if you suspect Fannie Mae loan-related fraud to report it to the GSE. More information of disaster-related fraud can be found here.